Paramedic Job Description: A Paramedic is a professional trained to provide emergency care to ill and injured patients. A Paramedic is vital healthcare professional who is tasked with treating and stabilizing ill or injured patients prior to taking them to a hospital or other urgent care facility. In providing these emergency medical services, Paramedics may need to administer medications, perform certain invasive medical procedures and providing life-saving actions when necessary. Examples of treatments and means of resuscitation a Paramedic may need to perform includes cardiopulmonary resuscitation (CPR), emergency respiratory procedures for patients with blocked airways, stabilize neck and head injuries and bandage wounds. They may also need to administer intravenous (IV) fluids or EpiPens, utilize automated external defibrillators and help deliver newborns in case of emergency. The exact scope of practice depends on the state and local regulations. Instances in which a Paramedic may be needed on-scene to provide their services may include severe allergic reactions, heart attack, stroke, vehicle crashes, fires, sports injuries, natural disaster, mass casualty incident and much more. There is no limit to the circumstance or scenario which may require the emergency services provided by a Paramedic. As the most highly-trained of the class of Emergency Medical Technicians (EMTs), Paramedics must constantly be prepared to encounter the most traumatic accidents or injuries. Anderson continued by explaining that a career as a Paramedic is both rewarding and fulfilling. He noted that having the opportunity to go out into a community and make an actual difference in the outcome of a patient’s life is an unimaginable opportunity. During any given day, a Paramedic must essentially expect the unexpected. This is because each day brings forth new patients, situations and conditions. Aside from always making sure the ambulance is prepped, Paramedics must be able to perform rapid assessments, CPR and stop bleeding as necessary. Then, they must maintain radio contact with a dispatcher while transporting the patient to the nearest emergency facility. Emergencies can arise on a whim, and therefore these emergency service personnel will always be in demand. To become a Paramedic, learners must first become an Emergency Medical Technician or EMT-Basic. This can be done through completing a basic EMT training program at a technical institute or community college. These programs usually take 10 weeks to six months to complete, and include 120 to 150 hours of mandated coursework. These courses will teach students how to properly handle emergency situations and how to complete overall patient assessments. Then, after completing a training program and passing a background check, a state or national licensing exam must be passed. Next, a prospective Paramedic must go on to complete a Paramedic-specific program. In doing so, some learners will choose to enroll in a single program to earn their EMT certification en route to a Paramedic certification. Alternatively, Paramedic training can also be completed at most community colleges or technical schools, resulting in an associate’s degree. 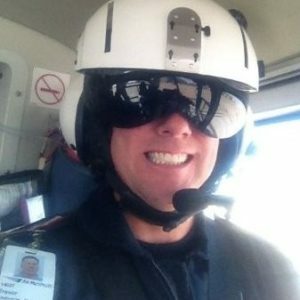 Many EMTs continue working in the field while they are enrolled in Paramedic school. As this role is more advanced than that of an EMT, Paramedic training consists of roughly 1,300 hours of training. These programs can therefore take up to two years to complete. Advancing in a Paramedic role can result from pursuing increased education, or by transitioning into other roles like becoming a firefighter. Paramedics will also choose to go back to school to obtain their bachelor’s degree, master’s degree and even doctoral degree. This can lead to related careers in healthcare such as that of a Medical Assistant, Registered Nurse, Physician Assistant, Family Physician or even Surgeon. Otherwise, Paramedics can consider entering a specialty area of emergency medicine, such as community para-medicine or critical care transport. Achieving success as a Paramedic can also mean needing a strong grasp of mathematic, anatomical and psychological knowledge. The role also requires that a professional is capable of lifting more than 125 pounds, in addition to possessing good coordination. These requirements are necessary because a Paramedic never knows when they may have to physically move or manipulate a patient. Therefore, physical strength in combination with a strong science background can help a Paramedic to act quickly, meticulously and with the utmost care. Paramedics should also be problem-solvers, who will go to extreme measures to help save or resuscitate a patient’s life. Along with saving lives, these professionals have the ability to make lasting impressions on people’s lives. Thus, Paramedics should possess compassion, kindness and patience. As some patients find themselves in life-threatening situations, their mental distress levels can reach all-time highs. This means that strong communication skills are further imperative when explaining procedures to patients, requesting information about the extent of injuries and obtaining patient histories. He added that after he and his team are ready to respond, they will do some sort of training evolution to ensure they are ready for whatever the public throws at them. If they are not running calls, they will instead do whatever they determine needs to done around the station. Is this the standard lifestyle of a Paramedic? The answer is that there is no “set” lifestyle. Weekly work schedules can range from a few 24-hour shifts to multiple 12-hour shifts. There also exists the possibility of being placed on-call. According to the Bureau of Labor Statistics, about one in three work more than 40 hours per week. Alternatively, those Paramedics who work part-time tend to have much more variable schedules, possibly only working a few days each week. So, as a Paramedic there is no guarantee how much sleep one may get from week to week. However, this is a professional that involves a passion for helping others, and this passion can be a great motivator to come in ready to work to the fullest each day. Emergency services will always be needed, so Paramedics will constantly be able to find employment! This vital profession is projected to grow 15 percent over the next decade! 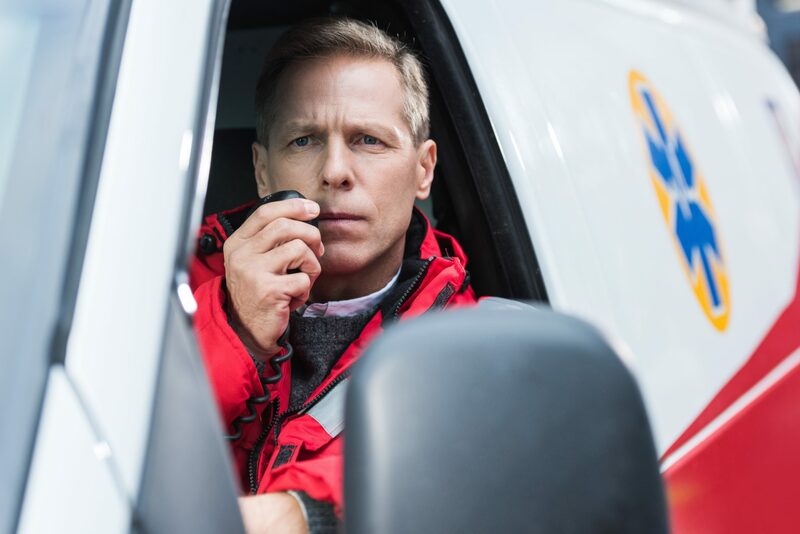 From arriving on-scene at car crashes, acts of violence, natural disaster and more, the care a Paramedic is able to provide is truly invaluable. The need for patients to be transferred to specialized medical facilities further perpetuates the demand for Paramedics in both rural and urban areas. Today, the median annual wage for a Paramedic rests around $32,000 per year. While the lowest 10 percent typically earns less than $20,000 annually, the highest grossing 10 percent can make over $56,000 each year. What really determines a Paramedics salary will be their geographic region of practice, their employer, the amount of experience and education they have obtained and the number of hours worked each week. The top paying employers of Paramedics tend to be hospitals, the local government and ambulatory care services. The International Association of EMTs and Paramedics (IAEP) is an organization of emergency service members who are united by the belief in the dignity and worth of workers and the services they provide. The association is also dedicated to improving the lives of workers and their families and creating a more just and humane society. The National Association of State EMS Officials (NASEMSO)supports its members in developing EMS policy and oversight, as well as in providing vision, leadership and resources in the development and improvement of state, regional and local EMS and emergency care systems. Why did you choose to become a Paramedic? How would you describe what makes you successful in one word?